New Zealand 6-307 (Ross Taylor 129, Kane Williamson 45, Corey Anderson 38, Tino Best 2-66) vs. West Indies. 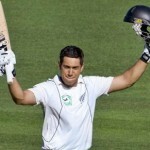 The star middle order batsman of New Zealand, Ross Taylor, continued with his blistering form and plundered another ton in the second Test against West Indies. The Black Caps powered 307 runs for the loss of six wickets in 90 overs. The second Test of the three match series commenced on Wednesday, December 11, 2013, at Basin Reserve, Wellington. 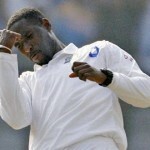 Earlier, Darren Sammy won the toss for the visitors and invited the home side for batting. The decision paid off when the Caribbeans got rid of the Black Caps openers at 24 as Ross Taylor joined in with Kane Williamson. The first had a lucky break when he was dropped at 0 and survived a review three overs later whereas his partner kept on consolidating at the other end. 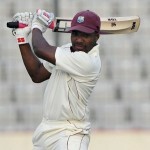 The duo took the score to 112 when Williamson lost his wicket for 45 and was replaced by his skipper, Brendon McCullum. Taylor went past his fifty in the process and McCullum opted to attack the rival bowling. The fourth wicket partnership was disassociated at 189 when McCullum was gone for 37. Corey Anderson walked in next and continued the consolidation process but surrendered his wicket for 38. 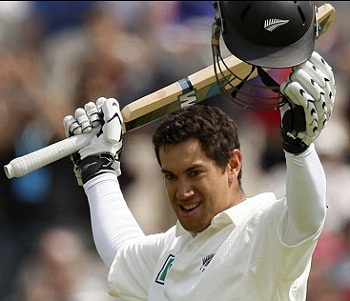 Ross Taylor smashed his 10th Test century with a single, was dropped at 122 runs again and was finally dismissed for 129 off 227 balls with 15 fours. The Kiwis piled up 307 with four wickets in hand at the end of the 90th over when play was called off for the day. Tino Best was the main wicket taker with two whereas Shannon Gabriel, Darren Sammy, Shane Shillingford and Narsingh Deonarine shared one wicket each. New Zealand has started the game in a commanding manner and an addition of 75-100 runs to the total will put them on top.